Stop the Wondering and Know if You Have a Stock Up Price or Not!! Have you ever wondered at what price you should stock up on an item or been at the store and wonder if an item is a good price. Well check out What’s Your Deal’s Stock Up Price List. As Couponers we have price points we would like to hit when purchasing items. 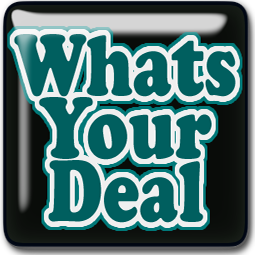 We have listed the MUST BUY Deals here. Some deals are at BUY Prices, meaning if you have none get enough to hold you over till the next sale (Usually 4). Then we have deals that say STOCK UP PRICE, this means that this deal has hit our STOCK UP Price point. Get enough to sustain your family for 3 months. Remember that this can vary by product brand. We tried to use an average price of what each item goes for. 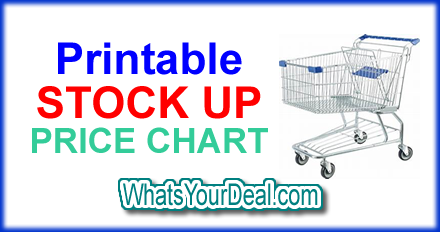 Click here to View or Print WYD’s Stock Up Price List —>>> STOCK UP PRICE LIST there is even room for you to write your own items/prices in.